Schools need funding. It’s a fact which transcends politics; when you’re dealing with our children’s futures and the security of the next generation, you need to make sure they have all the resources they need to succeed. That’s why fundraising is so essential to the quality and upkeep of schools. With inadequate government funding, it often comes down to the parents to prop up their local schools, and even a small donation can go a long way. However, it’s not as simple as just asking people to give you money. Schools need to make sure that when raising funds, you’re being accessible and understanding. So take a look at your website. Is it easy to navigate? Is it welcoming and easy on the eyes? Does it have all the information a visitor might need to be presented in a digestible way? Creating relationships with your pupils’ parents is important, and in the modern age of the internet, a school website is often the first thing a mum or dad will see. Make sure you’re giving a great first impression. The best websites have a design which works across multiple platforms. If parents are using their phones or tablets, they need to be able to navigate around your website just as well as if they’re on the computer. If your goal is to raise money, after all, you have to take into account that people – especially parents – are busy and always on the go, so might not have a laptop on hand. There’s nothing worse than a website which is poorly formatted for a smaller screen. It’s instantly off putting and aggravating to visitors if they don’t have immediate access to a computer screen. School Jotter is an ideal app for schools trying to improve their website. Used by over 3000 schools nationwide, School Jotter can help you create a unique website customised with features that suit your needs. Have you ever seen a website that has left you impressed with its design, and makes you want to keep clicking? That should be the aim for any school website to entice students and potential donors. School Jotter isn’t just for website creation, either. You can make school surveys, polls, quizzes and even content to help improve your pupils’ spelling. Fundraising isn’t just about parents sending you money through a website. To truly engage with parents you want to go above and beyond, and with applications like School Jotter you can organise events online. The app for phone can send notifications, too, so it’s a lot more convenient than sending out newsletters every month or trusting the kids to tell their parents! 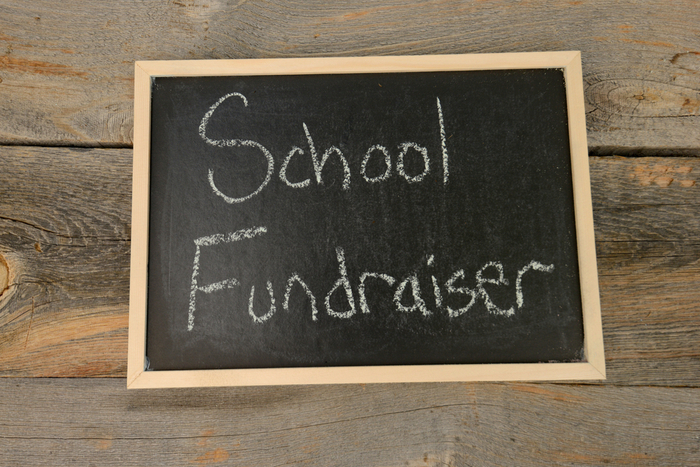 Want to host a fundraising event at the school? Put it on your website and it’ll automatically update to the School Jotter app, so your pupils will never miss a beat. Some schools try to get creative with their fundraisers, and it’s something parents appreciate. Go the extra mile in your events: maybe a Britain’s Got Talent-themed talent competition, a Halloween costume contest, or even a cook-off. The more you appeal to your pupils and their parents, the more successful your fundraisers will be. So, make sure you’re not neglecting your school’s online presence. In a world where we spend on average 24 hours a week online, schools have to adapt with and take advantage of the vast changes to how we communicate with each other. Used well, you can increase admissions and donations to better the education of the next generation.